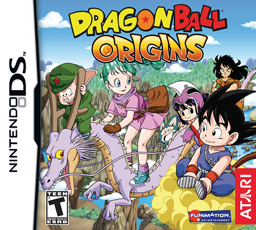 Dragon Ball Origins NDS apk android for DraStic free download working on mobile and pc,Nintendo DS EmulatorDragon Ball: Origins follows Goku and his clever sidekick Bulma as they travel the world overcoming enemies and obstacles to collect the 7 Dragon Balls. In the shoes of Goku, the player must protect Bulma from incoming enemy attacks using special skills, such as fighting with his power pole, or unleashing a kamehameha. 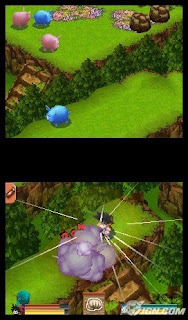 Combined with Bulma’s ability to invent machines and weapons, the intrepid pair make a formidable team able to defeat even the strongest enemies or trickiest of obstacles. 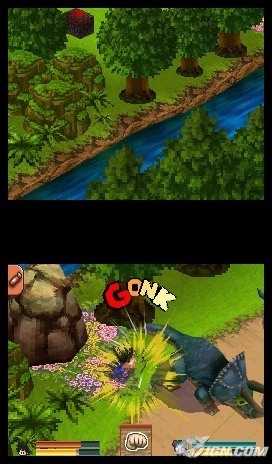 The innovative controls mean the player uses only the touch pad to control Goku. 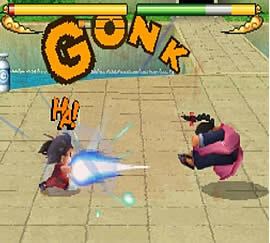 Players must draw lines or shapes to direct the character and control the action by tapping on the screen, for example a double tap on Goku followed by tapping on the Ka-me-ha-me-ha letters unleashes his devastating signature move.